What is Pop-up Yoga? Spontaneous outdoor, donation-based classes offered on a whim and when the weather cooperates. Join me for pop-up yoga in my backyard or other locations. If you’re interested in pop-up classes with me email amelia@spirituallyfityoga.com for more details and to get on my mailing list. Click on the tab for events, workshops and retreats. 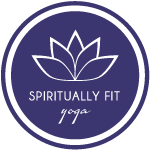 For private group or individual classes email me at amelia@spirituallyfityoga.com.